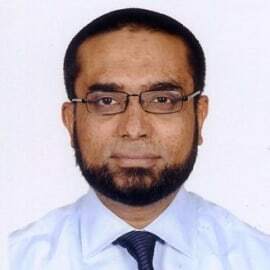 Munawar Misbah Moin is the Managing Director of Rahimafrooz Renewable Energy Limited. He leads the Solar PV and Energy Services Business. He has lead the Access to Energy and Distributed Renewable Energy (DRE) Solar PV solutions business with over  One Million rural household customers served by thousands of resellers; and unique SMART phone based technology platform driven Entrepreneur network for clean tech solution to reach the last mile in rural homes. All this has  significantly enhance economic and social development sustainably in over 60,000 villages in Bangladesh. He completed his undergraduate studies in Business from St John’s University, Minnesota, USA and has over 24 years of experience in BOP markets with storage, clean tech and access to Energy solutions impacting millions of life.